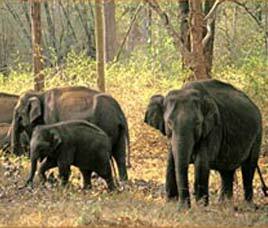 This famous Wildlife Sanctuary is situated at a distance of 51 km from Ooty, at a height of 900 to 1140 mts. and has an area of 324 sq. km. 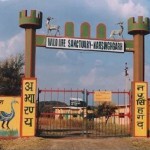 Elephant, gaur, sambar, spotted deer, barking deer, mouse, deer, panther, bear, wild bear, wild dog, hyena, porcupine and other animals may be spotted in the sanctuary. Tigers and Leopards are found deep inside the forest of Sal, Teak, Sandal, Eucalyptus and Deodar. Grey and brown monkeys, along with thousand of birds are also found. A Varity of butterflies and owls are also present. 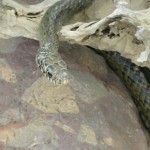 Pythons, Cobras, Rat Snakes are some of the reptiles. The best for a tourist are from February to April and from September to October. 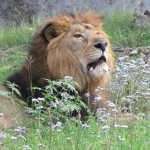 The best time to see the wild animals are from 06:00 hrs to 08:00 hrs and from 16:00 hrs to 18:00 hrs. The nearest airport is Ooty. Regular buses services are available. 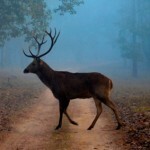 This entry was posted in Mudumalai Wildlife Sanctuary, Tamil Nadu and tagged Wildlife. Bookmark the permalink.